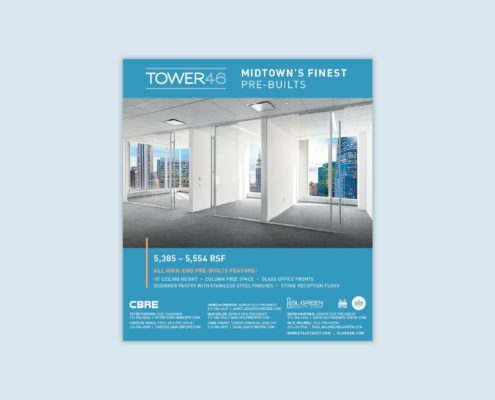 This newly-constructed Midtown office tower offered column-free, high-efficiency floor plates with floor-to-ceiling windows. 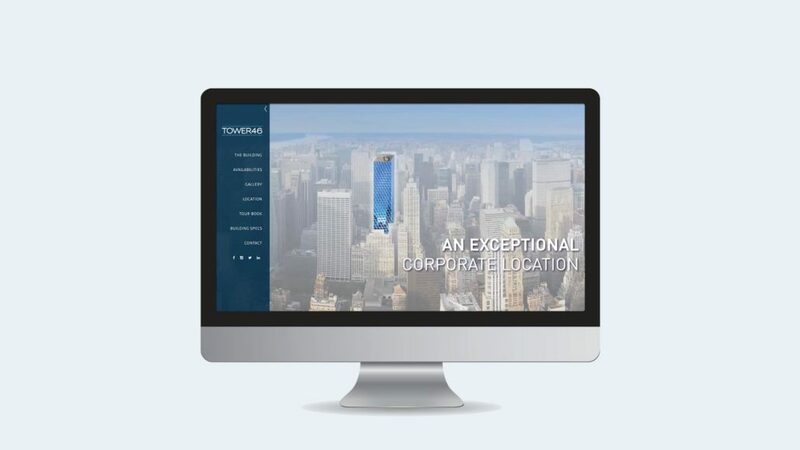 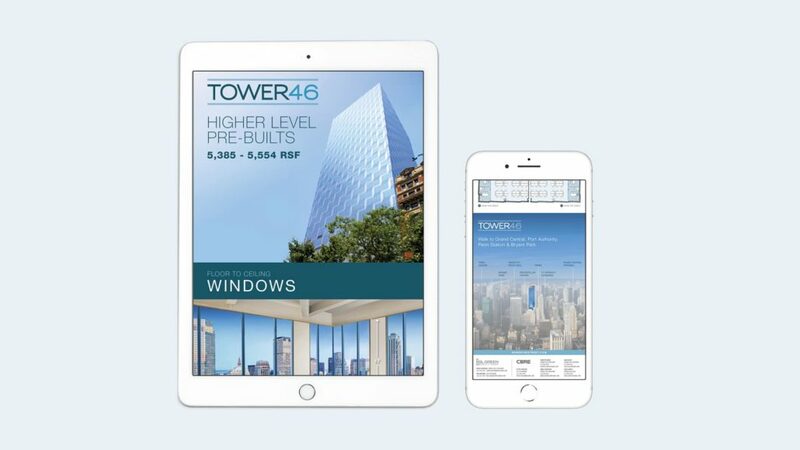 The tower floors, with sweeping views and many pre-built office leasing opportunities, were the focus of the marketing campaign. 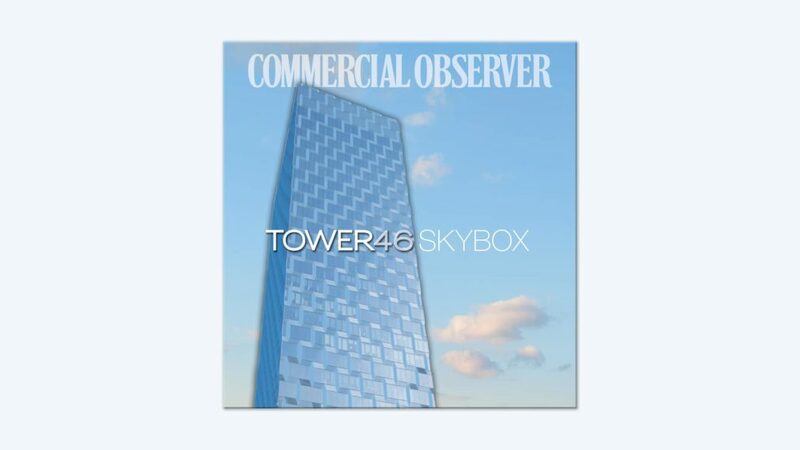 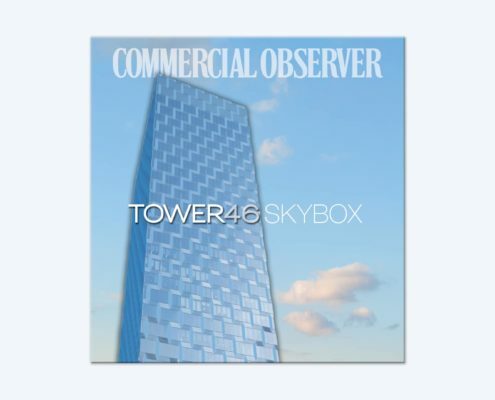 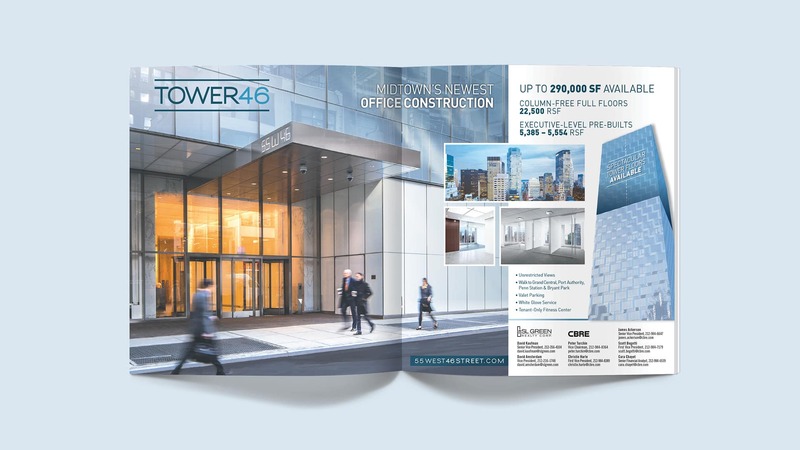 With a heavy use of stunning view photography, especially rare in this midtown location, we branded the property Tower46—A Higher Level of Pre-Build. 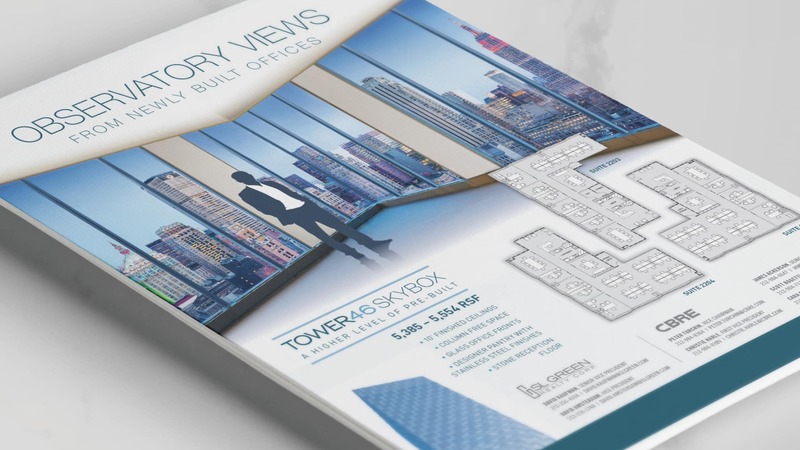 Subsequent marketing messages included the ‘Observatory Views’ and ‘Midtown’s First Pre-Builts,’ as the campaign evolved. 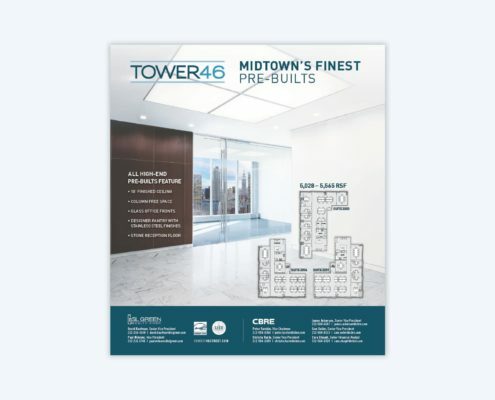 A custom map design, detailed location mapping and extensive neighborhood photography were featured in all marketing collateral and succeeded in connecting the building with the area’s most prestigious named retailers, restaurants, clubs and hotels.